Over the last few years we’ve seen the rise of the image over the word. This is a significant cultural phenomenon and no doubt the traditionalists will beat their spectacles against their breasts, crying over lost readers and libraries. I’d rather celebrate the inventiveness and creativity of film and video. At the forefront of this rise in the creation and use of visual content is YouTube. Note that YouTube is now a platform. This is important, as most people think YouTube is just a huge bunch of videos. This fact, that it’s a platform, makes it an interesting new ‘learning’ platform. It’s far more than a repository as it has a number of techniques and tools that make it a real channel for learning. YouTube is the world’s largest repositories of 'how to' videos. It is used by ordinary people when they want to know how to fix things or find out how things work. It is used by professionals who need to do something they haven't done before. It is increasingly being used by teachers, tutors, instructors and lecturers as a method of recording their expertise, talks and so on. Even more exciting is the fact that YouTube is increasingly becoming the default search engine for young people and learners, who want visual answers to questions. If you want to work out how to use a software feature, play a game, tie a neck-tie, expert views whatever - YouTube usually has the answer. 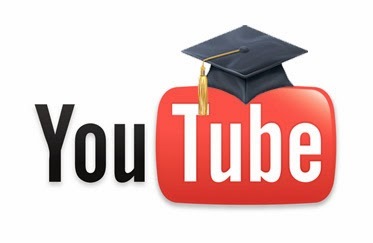 So how do you use YouTube for learning? Here’s the good news. The scope of good videos on standards subjects such as maths and science through to clips for use in English and every possible taught subject is phenomenal. Before you think about creating content, you should check out YouTube to see if good existing stuff is already there. Think Khan Academy and the like, not just for maths. Note that you can embed your videos as full screens. Upload your own videos to a YouTube Channel (this is the Ufi Charitable Trust channel with learning technology videos) for use both by learners in other contexts and of the channel itself. Creating a YouTube channel is simple and uploading videos is straightforward. All you need is a Google Account and you’re off. YouTube accepts almost any format, so that’s one worry out of the way. You can also upload directly from mobile devices. Market your course and videos through sharing and social media (useful alerts for learners). Note that you can pay to get your videos marketed and choose your campaign budget and whether you want to have in-display (on recommended column of videos on the right hand side) or in-stream (ads on the front of other videos). To put a title frame on your graphic that will appear as your thumbnail, you need to make sure your account is ‘verified’. This happens when you fully complete your account creation. Youtube.com/verify Then go through the process and verify – normally through a mobile text. You can upload videos that can only be seen by you and your selected group. You simply choose between Unlisted (only people who have the hyperlink you send them), private (they need an account and permission from you to view), public (everyone). Choose between several licensing options – YouTube Standrad and Creative Commons. There’s an editing tool that allows you to edit an uploaded video, add audio, also can pan, zoom, slow mo and many other effects. However, you’re likely to want to use a proper video editor for quality product, such as Final Cut. Fix lighting so that your videos are brighter, darker, add colour saturation, increase contrast, even turn it into black and white. There’s filters such as pixelate and many others. You can blur faces to hide identity. You can even stabilise the camera. If you don’t know what’s best, you can simply autofix. Add copyright free music from over 150,000 tracks. Five different types of annotations; title, labels (mouseover activated), notes (text box), speech bubbles, spotlight (link to other video). Have a featured video or playlist that pops up recommending another video for your learners to move them forward in the course. Add an in-video watermark for channel branding which is automatically added to all of your channels videos. This could be your institution, company or course brand. You can put annotations to other YouTube videos or, if you have a verified account, to any other external URL. Create structured playlists on your YouTube Channel to structure your content for learners. This can be used to modularize your course. Did you know that the TestTube has experimental YouTube features, such as adding questions to videos? How cool is that. You can put end-screens that allow the learner to go back or forward in a linear set of videos. Watch this piano playing video gives you an idea of the sophistication of possible branching within a video to different points within the same video. You can branch to other videos to create more complex learning designs and simulations. See this card trick example. With all this talk of Big data, remember that YouTube spews out lots of interesting data on views, subscribers, how long things have been watched, demographics, click through on annotations and so on. This is the big prize. You can make money and get all sorts of extra services such as live events and paid subscriptions.